One of Rural Action Sustainable Agriculture's partners, Community Food Initiatives, needs volunteers for a Free Seed Bagging Party, Friday, March 12, 1-4 p.m. at Rural Action, Trimble, Ohio (map). Volunteers will assist with bagging the free seeds for the 2010 Free Seed Campaign and can take home free seeds for their gardens. Please contact Lester at lestercfi@frognet.net or 740-593-5971 for more information. 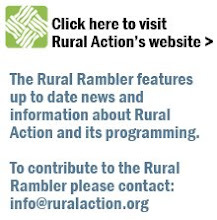 Or you can contact Rural Action at 740-767-4938 if you need help with directions.